Impact windows can literally be a lifesaver if you live in a storm zone. When a tornado or hurricane comes through, everything in your home is in danger. Quality products can help to protect your loved ones and your belongings when storms hit. Most are made from vinyl or uPVC windows. True impact windows are designed specifically for areas that are prone to severe storms. Although more expensive than standard windows, when you consider the additional cost of storm shutters then the price is similar. They have stronger window frames and hardware to keep them intact when struck by flying debris. The panes are laminated glass, which is simply thin layers of glass bonded to a plastic inner layer. The glass isn’t less likely to break than other panes, but the flexible inner layer will stay whole. The home remains closed off and water and debris prevented from entering. Impact windows are certainly more expensive than normal ones and on average about $150 more than non impact windows that have a storm panel. The reason for the added costs is the much better replacement window ratings that protect homes from hurricanes and other destructive storms. 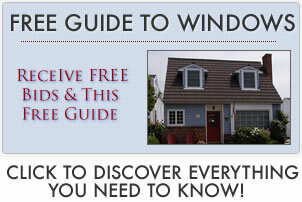 Discover on what impact windows cost. Also known as PVB, this is the same material that a car windshield is made from. This is one of the best and most commonly used materials for impact windows. Tough and hard to tear, it stretches to absorb the blow from whatever hits it. It does very well at warding off even the heaviest debris and keeping rain out of the home. Sometimes PVB is hybridized with a layer of PET film. These are less common, mainly because they are more difficult to make. SGB is much harder and stiffer than PVB. It does well at preventing debris from penetrating. It is even used in some bullet-proof and bomb-resistant applications. It is arguably the best material on the market, but is quite expensive. Some might consider it a little extreme for a residential home. Window manufacturers use it more often on wooden windows that vinyl but it can be found on stronger vinyl sometimes. Less expensive vinyl windows are often not strong enough to withstand the impact to the frame even if the glass is able to stay whole. With these, a liquid is poured into the space between two glass panes. These are less expensive than most other options, being much cheaper to manufacture. They are often made by smaller companies or used for custom windows. For a lower cost product it performs reasonably well. Homes in a dangerous area, where storms hit every year, will probably be better served by a higher quality. PGT produces a good laminated glass impact window. Most of theirs are aluminum window frames, which perform well in hurricane-prone coastal areas. They are one of the largest impact window sellers in the southeast United States. Andersen Windows makes a line of impact windows called Stormwatch. They have strengthened frames and hardware to withstand severe storms along with glass that can keep debris from entering your home. Astor makes an excellent product. A good alternative to storm panels or shutters, theirs come in aluminum or vinyl window frames. These stay in one piece when struck by debris, mitigating the effects of strong winds. These are specially designed for hurricane zones. In addition to protecting the home from flying debris, Gorell block UV rays, reduce noise pollution, and improve energy efficiency. These are one of the best windows for meeting every day needs as well as rising to the occasion when storms strike. With the StormPlus line designed to meet building codes in any storm-prone area, Marvins are a pioneer for their impact resistant products. They have a wider selection of styles than most manufacturers and also offer doors to protect during storms as well.